So many choices. What is your favorite morph? What to avoid? Might pick up a trio. I love super dalmatians and extreme tigers (aka brindles), the "tri color" harlequins and Halloween harlies are nice too. Good head structure (wide crest) and prominant spikes are always a plus. If you can purchase a slightly older baby, that works out best too as the tiny babies tend to be more fragile in terms of humidity and feeding. I would definitly get one that is already eating prepared diet and find out what kind/flavor it is feeding on. I have 2 cresties, 3 gargs, and a leachie. You might want to consider a garg as well. They get a little chunkier than cresteds, but have a much different look to them. I have only had one negative experience purchasing geckos. If you want me to, I can PM you with the name of that breeder (which I would avoid). Pangea is reputable, but sometimes overpriced compared to other breeders. Altitude exotics and dragon town are also well-known breeders to check out. Kawaii Reptiles (on FB) is the breeder I got my leachie from and they also do cresteds. i adopted my crestie through a local rescue, so idk of any reputable crestie breeders. 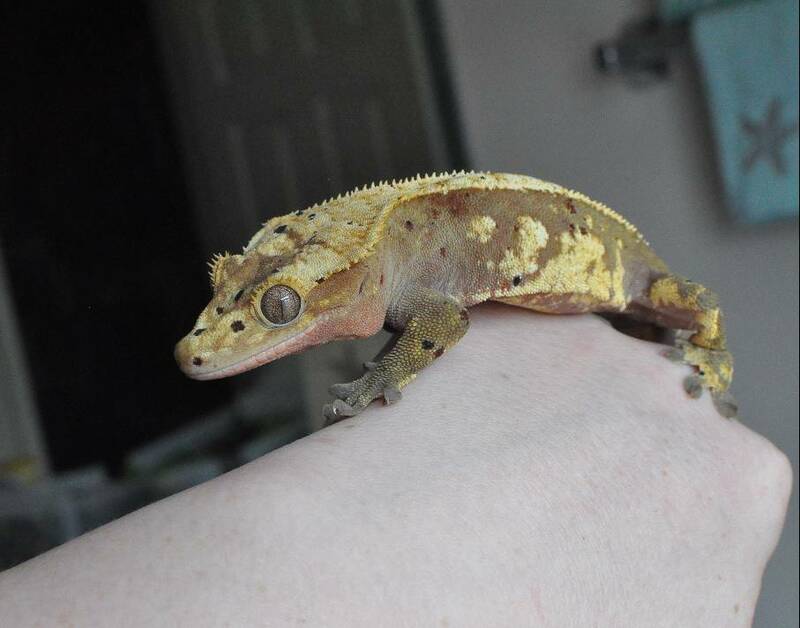 idk what my crestie is morph-wise, but he's red, has some pattern on his sides, and spots on his face. Also looking at Gargoyle Geckos.